How much impact does your work want to have in the world? How much impact do you want to have? 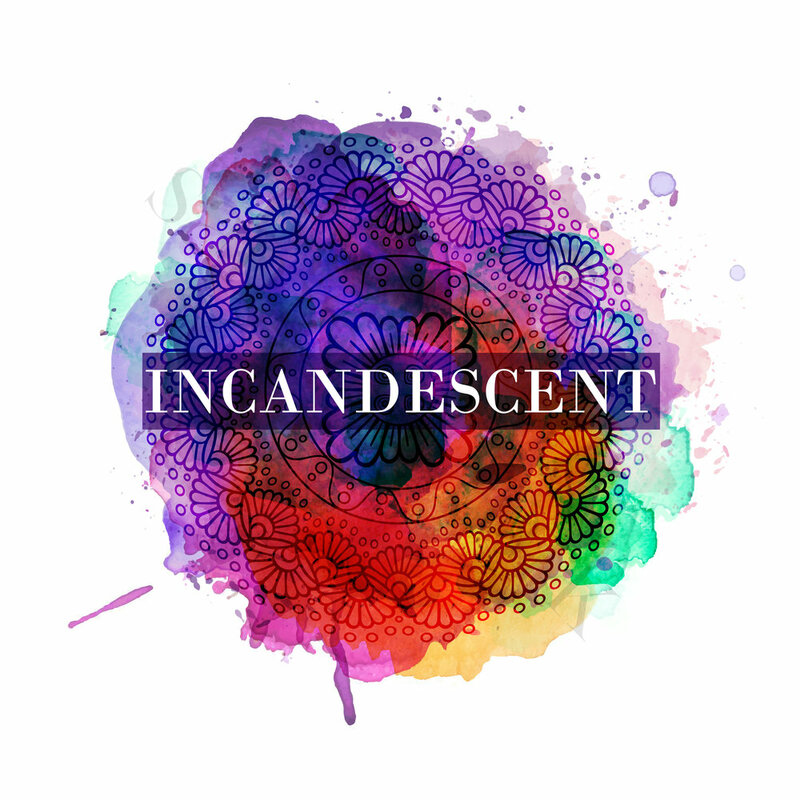 I created INCANDESCENT because so many coaches and consultants I know want to reach more people with their work and they know that their brilliance can spark waves of change. The business world needs YOU. The INCANDESCENT program teaches coaches and consultants how to land enterprise clients and serve them at the highest level- without selling your soul or selling out. N.B. This here is a long read for entrepreneurs serious about building business in the corporate market. If you're the decisive type and know that you are ready, click the button below. You can tell this is the beginning of our day- that white board is empty and the snacks are full! If you're new to me, my name is Lauren, and over 8 years I've made well over $1 million in consulting and coaching fees with larger clients. I've definitely loved having small biz, startup and solopreneur clients too, but the vast majority of my income is from bigger businesses. The money is important, but so is my less obvious success: changing the lives of people whose work touches millions. Here's how: I've coached and consulted with the heads of billion dollar organizations; a sitting member of the US House of Representatives; execs at the Department of Defense, major telecoms and dotcoms; a partner at the second largest law firm in the world; Olympians; and multi-nationals that perhaps you've heard of (APC, Media General) and ones you probably haven't. When you tally up the impact those companies have on the world, that means that my contribution just got amplified by millions. Because when I show up to work with leaders, they show up differently- as leaders who make a difference. I'm not sure exactly where you are in your business. Perhaps you've created a thriving practice working with solopreneurs and are ready to work with bigger companies, teams and executives. Maybe you've thought about leaving your current job to pursue consulting and coaching. Or you may have already tried to land corporate clients but found it tough to get a foot in the door. These are real concerns. Is it any wonder that more entrepreneurs don't make the jump to work not just with solopreneurs but also with larger companies? I want you to know that I hear you. These fears and questions are legit (I have had them too!) and there are actually pretty simple answers to them, so I've made a series of short videos to address each the most common qualms. Here goes! Will I have to wear a suit or speak business-y jargon? Ok! I hope you enjoyed that short series addressing most the fears consultants and coaches may have when thinking about pursuing the B2B market. When selling to companies of any size (beyond the solopreneur), the sales cycle is usually longer and the selling environment usually more complex. I have definitely met a CEO and found myself working with her team in a matter of days. But that is usually an outlier experience. In general, especially as companies get larger, getting a potential client to the decision of yes or no takes longer and involves a lot more people, competing agendas, budget sign offs and alignment calls than you might be used to. And that can be frustrating, exhausting and confusing for the consultant/coach. But remember, you're in this for the impact AND the income. If you're willing to do the work it takes to land a corporate client (or several!) the rewards can be amazing. Massive confidence in your abilities when you (successfully) tackle a particularly complex situation. Huge paychecks to go with the amazing results you help your clients achieve. The knowledge and pride that you've come into the corporate world and remained true to who you are. Flexibility to create the schedule that suits you, your family and your clients. Amplified impact- your work leaves a legacy that transforms company culture. It's a spectacular feeling to know that your work can effect change in a company. Larger businesses can seem so intractable- like behemoths that never change. And powerful CEOs? They are sometimes intimidating to work with but usually have capacities that have barely been tapped...until you show up. Working with execs and larger organizations has been a highlight of my career. And in my vision, an army of soul-centered entrepreneurs start to storm the gates of corporate America, conducting sneak attack change management, one employee at a time. So now that you know a little bit about my agenda, let's talk about the agenda for INCANDESCENT. INCANDESCENT is a business development training for heart-centered consultants and coaches who want to work with bigger companies without selling their souls. I bet you might be thinking, "I don't really want to take a course about sales. I already know about sales." That may be true, and if you are already doing really well selling to solopreneurs and don't want to expand to bigger businesses OR if you are already make multiple six figures selling to corporate, then you probably don't need this course. However, if you DO want to take the amazingness you've created with your solo entrepreneur clients and achieve similar results in a corporate sphere, then, well, let's play! 13 years ago, I accidentally found myself working with corporate clients, first as a wholesale sales rep of luxury clothing and handbags* and then as a real live consultant helping those same companies with everything from design, sourcing and production to HR, PR, marketing strategy and retail sell through. *By wholesale sales rep I mean that I was paid ONLY commission on what I sold to boutiques and department stores. This was 2005 so e-commerce was a blip. I bought samples from the designers with my own money, bought a car, and started cold calling stores all along the East Coast and selling at trade shows throughout the US. It was baptism by fire. My first gigs as a freelance sales person rapidly transformed once I had proven my sales abilities and allowed me to get to know one industry (fashion) very well from soup to nuts. I didn't have a specialty, a strategy to grow my own business or any particular focus. I just convinced CEOs I could help them and then did whatever it took to be successful. In one dream role, I got to live in Italy for six weeks, design a line of handbags and work on the prototypes with the same factory that makes Jimmy Choo! All while I was a consultant and working with other clients simultaneously. Gradually, though, the rigors of the fashion cycle wore me down and I realized I would have to diversify in order to make a great living and not be crazy. I began to use my coaching certification and found that I could apply much of what I had learned in the fashion industry to all kinds of other market sectors. My corporate work slowly evolved to be market agnostic but focused on a few key things: 1. sales and growth strategy, 2. healthy corporate cultures, 3. great leaders and 4. the joy imperative (this one is new). Once I nailed down my areas of focus, business prospecting became easier (SEO helped!) and my sales cycles shortened from 18 months (yes, seriously) to a few weeks. Phew! During that time, I was able to see what worked (meeting CEOs) and what didn't (trying to prove my worth to the wrong type of client) and eventually codified my process of getting and keeping corporate clients. And that's what I'm calling INCANDESCENT. I chose this name because it's about light bulb moments and bringing brilliance out in ourselves and in others, yes, but more importantly, it's about impact. Electricity was a game changer for our world. And I believe that real, lasting social change is going to have to come from the business arena. The citizenry can agitate all it wants but without responsible corporations, any splash we make will not create lasting change. We need our business leaders to throw their might behind the changes that matter. And who better to light up those leaders than that proverbial army of heart-centered coaches and consultants? You guys, I've never had so much fun writing a sales page (I know- crazy), and I'm pouring my heart into this program. I so dearly want to see you succeed in your goal to reach more people with your work, and I know that you can do it. I also know there are some skill sets and some very specific tools that will help make achieving your goals much easier and more fun. Here's the program I've put together for the inaugural INCANDESCENT class. CEO Mindset: your purpose, vision and mission for your business. Wednesday January 10, 10 am to 2 pm VIRTUAL or in NYC. Products/Services: create the right offer at the right price for your target market. Wednesday January 17, 10 am -2 pm VIRTUAL or in NYC will cover branding and products/services. CX yourself! A Customer Experience workshop to create your customer acquisition and service delivery strategy. Wednesday and Thursday January 24-25, 10 am to 4 pm VIRTUAL or in NYC if you're local. Eco-system- how to build it, nurture it, and grow it with structure, substance and style. Wednesday January 31, 10 am to 2 pm VIRTUAL or NYC. Sales- this is a biggie so we get more bullets here! The sales workshop is Wednesday-Friday February 7, 8, and 9 in Richmond, VA. I highly recommend attending in person though it will be possible to participate VIRTUALLY via zoom. What you'll be doing: reach out to your eco-system, learn and practice your sales skills, and start the sales cycle! Market Gravity is how to get customers to come to you instead of your having to run after customers. This is another huge topic and one of my favorites. Drafting- how to use information from similar experts to craft your market gravity strategy. Webinars, white papers and workshops, oh my! This workshop takes place in two chunks Wednesday Feb 28 and Wednesday March 14, 10 am to 2 pm VIRTUAL or in NYC. Service delivery- Craft your service delivery process to ensure client success and learn systems that enable organizations to retain the change you provide. Workshop takes place Wednesday April 11, 10 am to 12 pm VIRTUAL or NYC. Trouble shooting- At this point in the program, we take time to gather and see where you need help, what's working for you and what's not working. April gives us an opportunity to implement so that we can iterate the following month. Workshop takes place Wednesday April 18, 10 am to 12 pm VIRTUAL or NYC. What you'll be doing: execute your market gravity strategy, continue sales calls and sales cycle, delivering services to your clients. Sales 2.0- You may be thinking, "Will I really need to work on sales at this point???" The answer, I have found, is yes! My attention to understanding the complexity of today's business environment enabled me to sell six figure contracts to CEOs who didn't know they needed help. So, if you're a bit wary of sales in general or perhaps have already taken sales courses then I encourage you to settle in for a minute as you read below. This workshop is about next-level sales. The kind that requires transformation on the part of the decision maker and the organization in order to occur. That's right. Your sales process will become transformational for your potential clients- whether or not they decide to hire you. What I mean by that is once you have the basics of consultative sales down, once you have some early wins and have signed some new clients, it's time to take your process to a place of complete service. Not only will it be more fulfilling for you and transformational for your potential clients, but also it will yield higher conversion rates for those clients who are right for you! The Sales 2.0 workshop takes place Wednesday and Thursday May 16-17, 10 am to 6 pm in Denver CO and VIRTUAL. What you'll be doing: selling and working on market gravity strategy implementation. And working with your clients- complete joy! Implementation- this month is another opportunity to iterate and refine your practice building, to think bigger and sell bigger. Practice management- we'll cover how not to get stuck in the either/or cycle of sales OR service delivery as well as introduce the concept of growing your team via licensees, programs, and additional coaches/consultants and learn the tools and systems that allow you to grow with ease and grace. Workshop is Wednesday June 13, 10 am to 2 pm VIRTUAL. What you'll be doing: selling, delivering services, and continuing eco-system nurturing while you grow your market gravity as well as creating a vision for your business's future. Graduation ceremony and party! Please join me in the Hudson Valley for a two day, one night celebration of all you've achieved. Thursday and Friday July 12 and 13 in Millbrook, NY. This is optional, though we will have a virtual ceremony for all graduates regardless of location and ability to travel on these dates. 1:1 exit interviews with me! What you'll be doing: continuing your work AND taking a well-deserved break to celebrate! Whew! Got all that? This is a really big program. It's the culmination of over 13 years in business, eight of them in the corporate space and I am so excited to work with you to achieve your goals. Now, you've read this far- thank you! I just have a few bits and pieces left to cover. 1. This is a BETA program. The first and only of its kind. That means if I need to move things around or shift gears so that you get results, I will do it. The above schedule and outline is a plan, but it is subject to change depending on the specific needs of the individuals who raise their hands to say, "Yes, I want to grow my business and amplify my impact." 2. It's a virtual program. You could do it all from behind the comfort of your computer! That said, the sales workshop Wednesday-Friday February 7, 8, and 9 in Richmond, VA and the sales 2.0 workshop Wednesday and Thursday May 16-17 in Denver, CO are much better with you there. (Graduation too!) If you absolutely can't swing it, all events are live on Zoom and recordings (both video and audio) as well as transcripts will be available to you all. 3. You must apply for this program. I want to know you. I want to know what work you do, what your vision is for your business and life, and frankly, how good you are at what you do. In the past I've opened programs to people who weren't suited for various reasons and I was sad and miffed when things didn't work out. This is a very special program, I'm committed to accepting only the top tier of consultants and coaches into it because we are building a movement and I want to equip the leaders of transformation who are truly ready to bring their brilliance to the world.